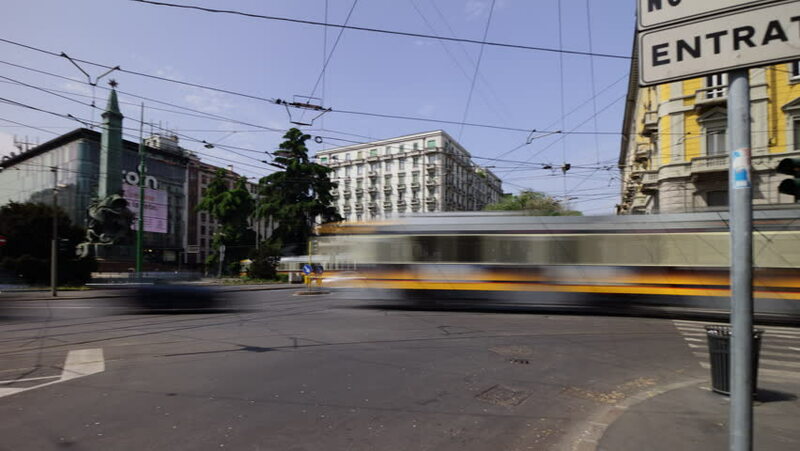 MILAN, ITALY - MAY 18 2018: sunny day milan city famous traffic street square rotating panorama 4k timelapse circa may 18 2018 milan, italy. hd00:11Tram Departs from Station then Arriving to it. 4k00:21LEIPZIG - JULY 2016: City train along old town road. Leipzig attracts 3 million people annually.